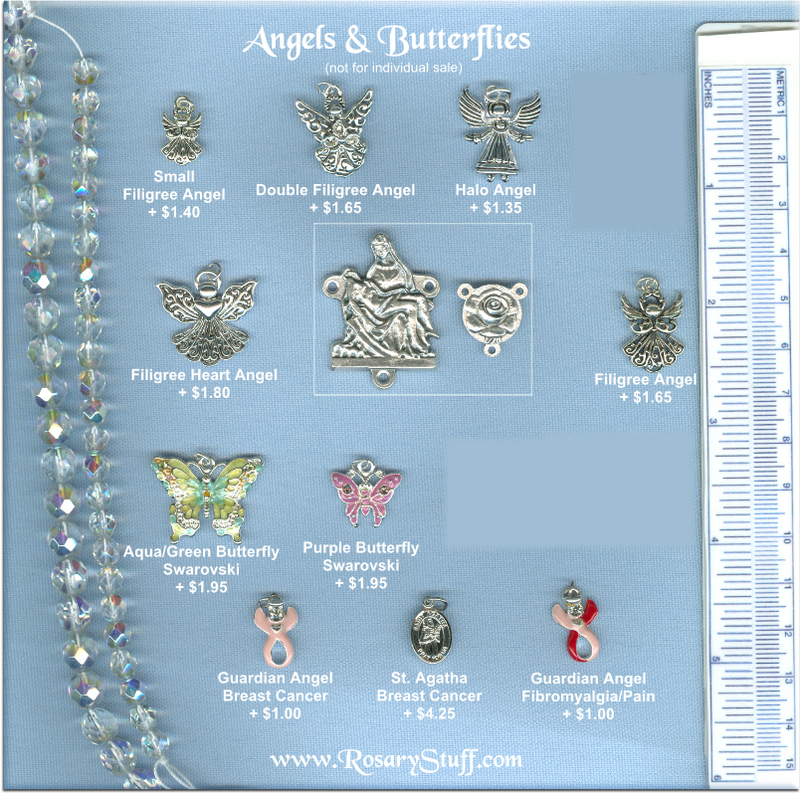 Angel and Butterfly Charms. 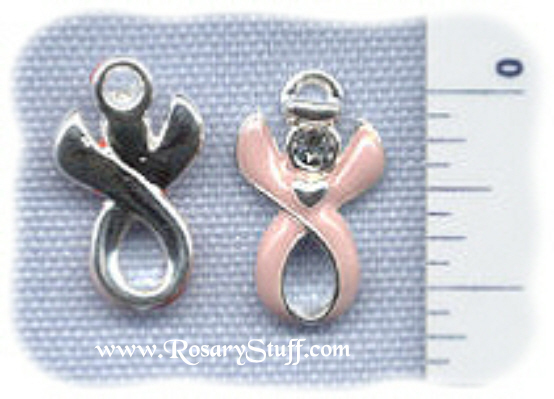 See descriptions below for more details including more pictures. 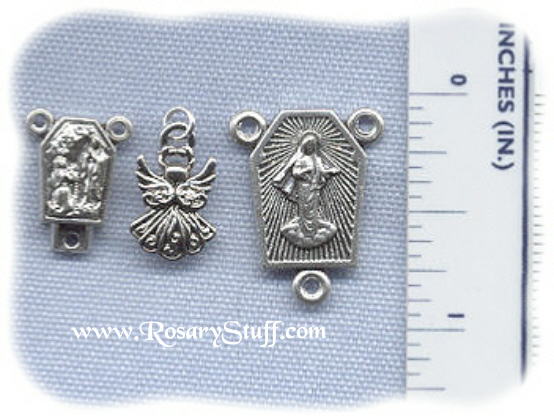 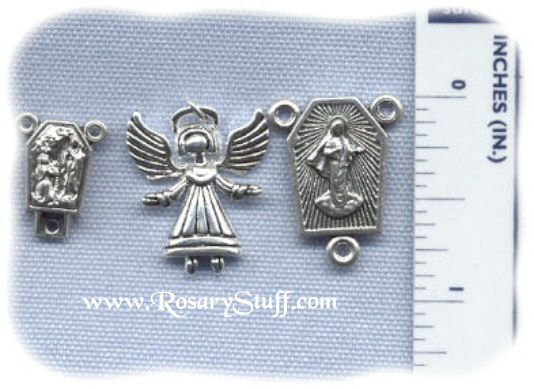 Add some character to your rosary by attaching your favorite medal or charm. 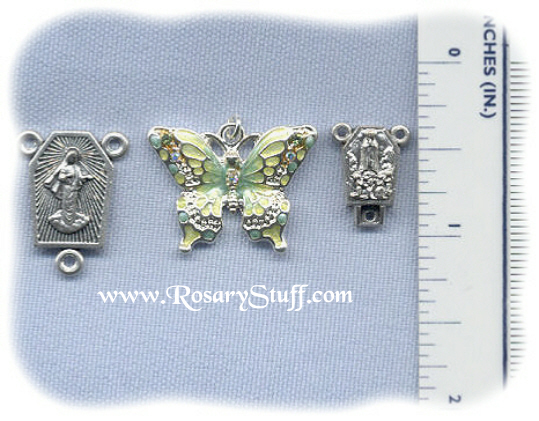 The "Angels and Butterflies" group includes several silver plate charms and medals including awareness ribbons for Fibromyalgia (chronic pain) and Breast Cancer along with a variety of angels, butterflies and even a St. Agatha medal. 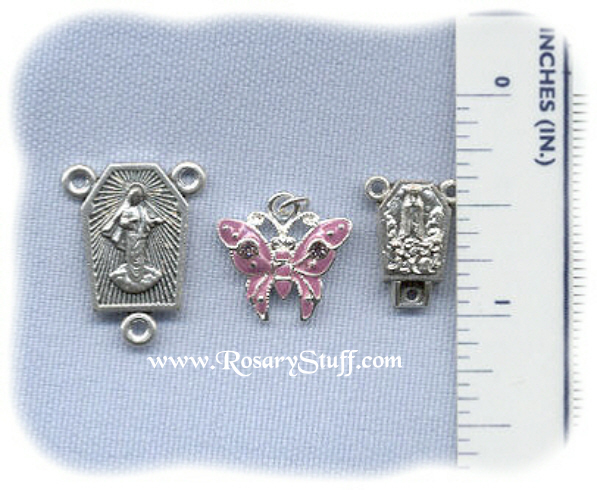 The above picture includes one of my largest and smallest centers along with 6mm and 8mm AB Clear beads in order to help you get an idea of the visual balance between parts, beads and medals. 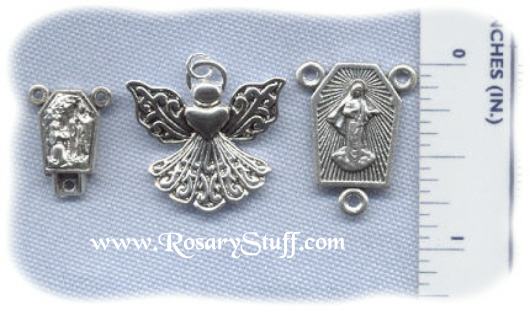 When choosing to add a medal to your rosary, don't forget to let me know where you would like it attached. 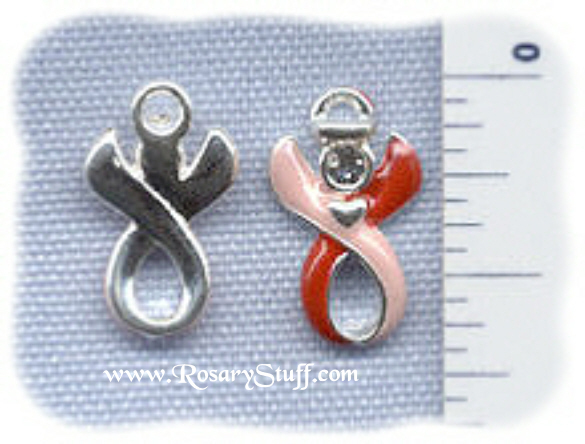 I can always send additional pictures to help if you need them. 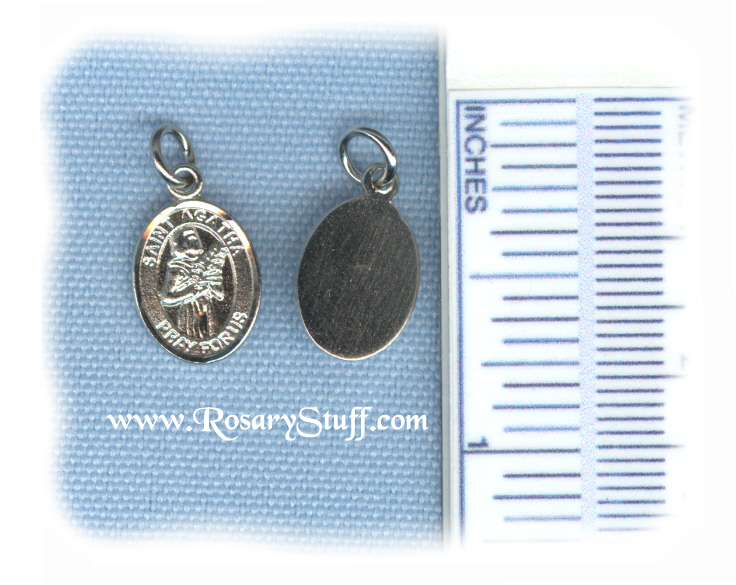 If you click on the item name below you can see a larger picture of the front and back of each medal. 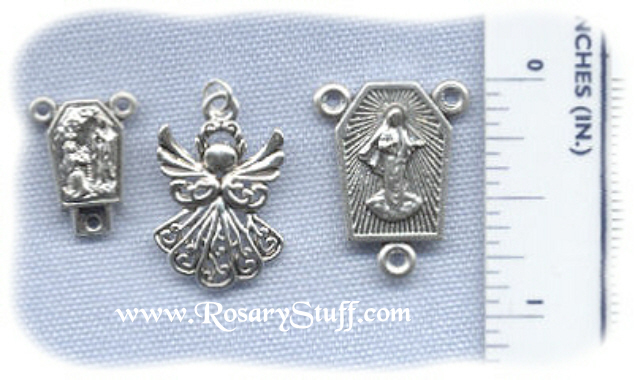 If you would like to see a picture of your favorite rosary parts next to each other before making your final decision, please don't hesitate to CONTACT ME.